The Southeast U11B Vipers team is preparing for the Fall 2018 soccer season. Players are born in 2008. The Fall 2018 roster for the Vipers is filled. 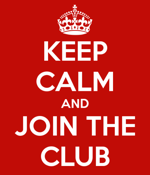 To be considered for the U11B Tornado team, click the "Join Now" button below to complete our New Player inquiry form. ©2019 Southeast Minneapolis Soccer Club / SportsEngine. All Rights Reserved.